Madagascar’s armed forces played a significant role in the 2009 political crisis that saw Andry Rajoelina come to power, and may become involved in upcoming elections in spite of pledging to remain neutral. 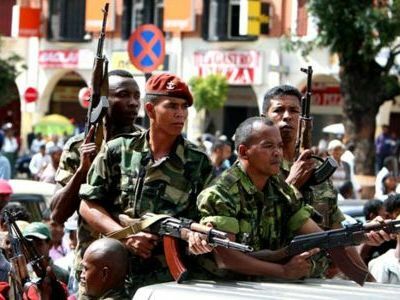 As a military force, Madagascar’s armed forces are geared primarily towards internal security and do not have the resources to combat things like piracy, smuggling and trafficking. In fact, Madagascar’s military effectively has no air force or navy. Click here to find out more about Madagascar’s military.